The Genuine Beer Blog: Hop Head !!!! Strong Hops, Deep Full Flavour, Bitter, Refreshing, Smooth, Rich, Bitter After Taste. 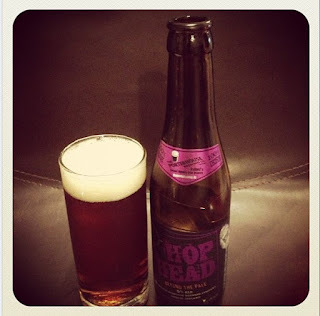 Hop Head is another great example of a relatively small brewing company based in Dublin making some absolutely amazing and fantastic beer. 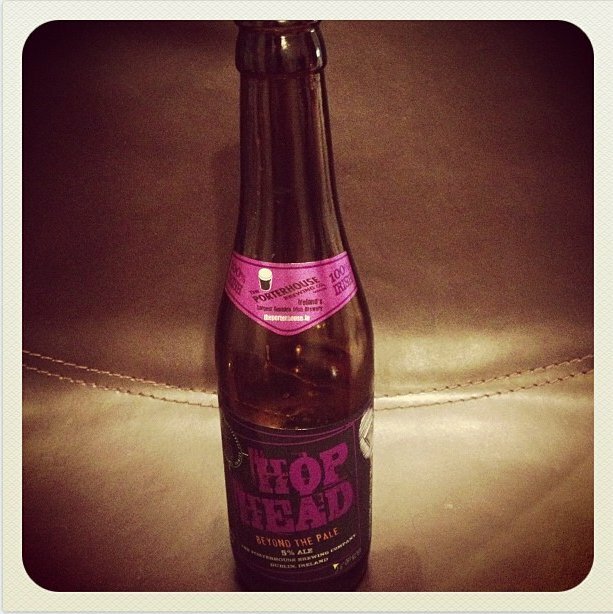 Hop Head is a really rich, full bodied, deep in flavour beer. It really packs a punch in flavour and will not disappoint the hop lovers out there. This beer is thrice hopped giving it such a deep flavour. It is bitter but yet refreshing, leaves a bitter after taste, but one that makes you just want to go back for more. This beer really stands out from the crowd and this is what I look for in the perfect beer. One that doesn't just sit back and blend in, but one that really packs flavour and really stands out. There is very little carbonation to this beer making it really easy to drink. I highly recommend this beer, the only downside being that there just isn't enough in the bottle it should be 500ml. This beer is so worth the price that you pay, which in my eyes is very cheap for the quality your getting. All in all another fantastic beer to shout about hence its praise and score from me. Well done The Porterhouse. It's Arriving........ Friday Favourites !!!! Beer Suggestions and Blog Feedback !!! !